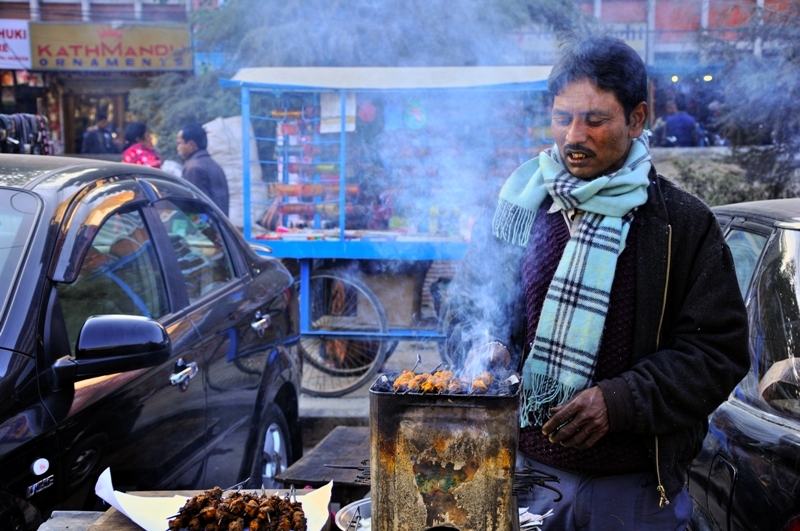 Another popular Nepali street food, ‘Sekuwa’ which is Barbecued meat. In Kathmandu you will find a plenty of dedicated restaurants which serve Sekuwa. In the picture, the guy you see is not a Nepali guy. He is someone from an Indian origin. Barbecued meat dishes are regionally varied. So there is an Indian regional version of it too. So this Sekuwa you see in the picture is not typical Nepali sekuwa . This is a regionally originated dish from some part of India. Though the local one and this one may have similar looks but spices used is what makes it different. Specially these Sekuwa stalls are scarce but don’t miss out on these too for that difference from local delights. Enjoy.